(Reuters) – Oilseed traders in China on Monday played down the potential impact on soy consumption of new government guidelines to lower the protein content of animal feed, saying that rising soymeal and soybean prices would be a far bigger curb on appetite. 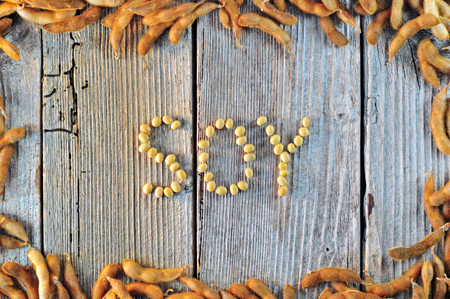 The nation has been pursuing multiple ways to reduce its consumption of feed ingredient soymeal, made from soybeans, amid a festering trade war with the United States, its No.2 supplier of beans. China, which typically buys about two thirds of globally traded soybeans to help feed its huge livestock herd, has been taking steps such as turning to alternative meals and reducing protein levels in feed. China’s Feed Industry Association on Friday approved new standards for feed for pigs and chickens, lowering the protein levels in pig feed by 1.5 percentage points and those for chickens by one percentage point, the agriculture ministry said in a statement that day. The standards are only guidelines and the ministry did not say when they would take effect, with traders saying that prices would continue to be the key focus for soymeal consumers. “The new standards are not enforceable (as they are based on guidelines),” said a soybean trader in China, declining to be identified due to the sensitivity of the matter. Another trader, based in Beijing, said that most big feed mills were already using less soymeal than last year because prices had risen versus 2017. The most actively traded soymeal contract on the Dalian Commodity Exchange DSMcv1 has climbed 20 percent since the start of the year to record levels of more than 3,300 yuan ($474.37) per ton. “They (mills) were also able to find substitutes. Soymeal consumption is based on the soymeal price and the price of substitutes,” he said. Those comments came even as the government said on Friday that the new standards would cut China’s annual consumption of soybeans by 14 million tonnes, marking a drop of about 13 percent from the last crop year in the world’s top buyer of the oilseed. The ministry also said that China’s overall yearly consumption of soymeal would fall by 11 million tonnes. The country used 71 million tonnes of soymeal to make animal feed in the 2017-18 crop year. The agriculture ministry said China depended on imports for nearly 80 percent of its protein raw materials, and that this had caused a “bottleneck” to development of the country’s feed and livestock sectors. Lowering protein levels in feed would also reduce the negative impact on the environment, it said. The National Development & Reform Commission (NDRC) – the state economic planner – in July discussed ways to switch up pigs’ diets with major feedmakers including New Hope Group, Dabeinong, CP Group and Hefeng Group. China is entering what is typically its top buying season for U.S. soybeans. However, only a handful of U.S. cargoes have arrived in the country in recent months and it is expected to largely rely on beans from top supplier Brazil. Its soybean imports are set to drop by a quarter in the last three months of 2018, their biggest fall in at least 12 years as buyers curb purchases. Beijing imposed 25 percent tariffs on $34 billion worth of U.S. products including soybeans on July 6, in retaliation for U.S. tariffs on Chinese goods of the same amount. Soymeal futures on the Dalian Commodity Exchange for January delivery DSMF9 fell more than 1 percent on Monday to 3,349 yuan per ton. And not everybody agreed that the impact of the new guidelines would be minimal. “This will have a very important impact on industry, but it’s still not clear how long it will take to be fully introduced,” said Yang Linqin, an analyst at Cofco Futures.